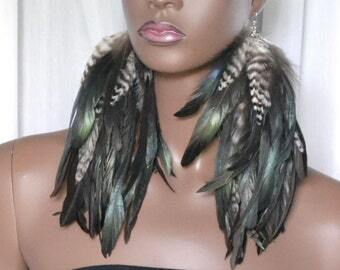 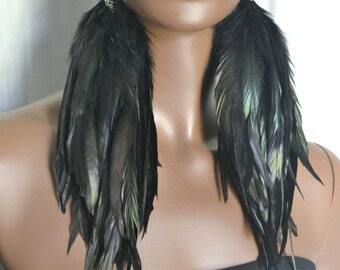 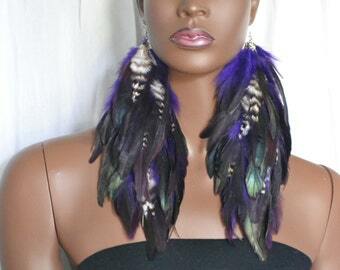 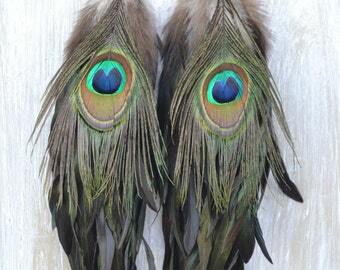 Black feather earrings are made with long black iridescent feathers. 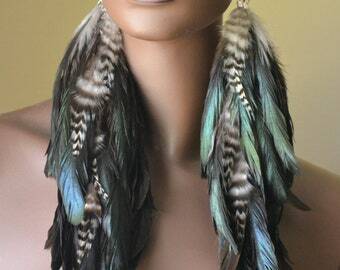 Each feather hangs from a gold chain and is finished off with gold fishhook earwires. 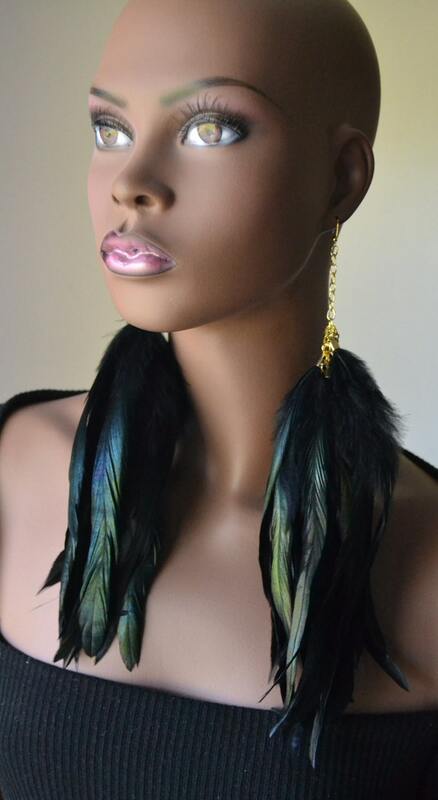 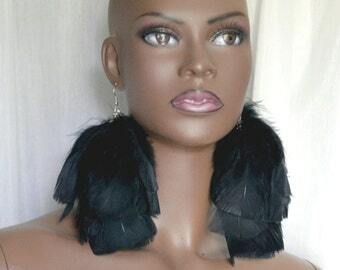 Long black feather earrings measure about 10 inches in length including the earwires.